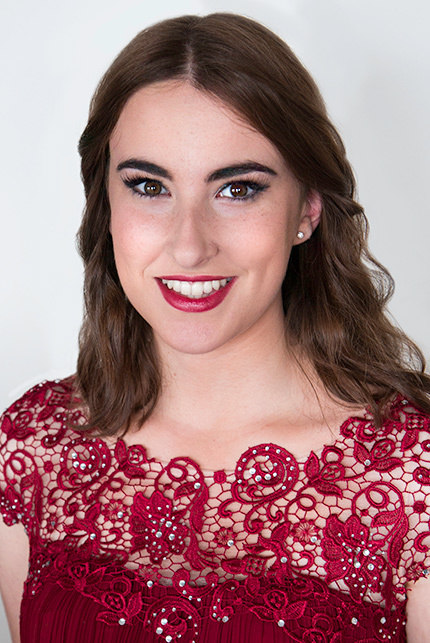 Rebecca Hart is a young French/Australian mezzo soprano currently studying for her Bachelor of Music at the Sydney Conservatorium of Music, under the tutelage of Narelle Yeo. She has performed as a soloist in numerous recitals, concerts and orchestral works such as Mozart’s ‘Requiem’ conducted by Brett Weymark, and Vivaldi’s ‘Gloria’ conducted by Dr. Luke Gilmour. Rebecca recently performed in ‘Orpheus in the Underworld’ with Rockdale Opera Company. She has performed for the French Consulate on several occasions. She has also performed in a masterclass for David Sisco. Rebecca is a three time finalist at the Youth Music Awards and won the Musical Theatre Award in 2015. Since then, she's had great success at the Sydney Eisteddfod winning French Art Song and was a finalist in the 17-20 Vocal Scholarship in 2016. Rebecca has loved working with the company preparing her first Principal role as ‘Lady Jane’ in this production of Patience.